This AirClassics™ LED Flightlight is durable, compact, and bright — ideal for the flight bag where space and convenience are priority. The flashlight has both white and green bulbs, making this an effective tool for preflight, night flying and chart reading. 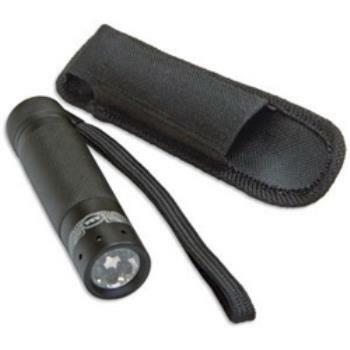 The flashlight includes a 6-inch lanyard and a durable nylon holster with resilient elastic that holds and protects. 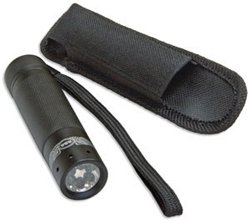 The stainless steel belt clip secures the flashlight to your belt, shirt pocket, logbook, kneeboard or chart wallet. Three extra heavy-duty AAA batteries are included.